The cold Brexit is most likely to come: What does it mean for the rest of Europe? Martin Kahanec and Klaus F. Zimmermann of GLO analyze the situation. Stability in a dramatic phase of instability: Theresa May remains Prime Minister in a parliamentary vote the day after she has experienced “the largest defeat for a sitting government in history” on her Brexit deal with the EU in the British Parliament on Tuesday night (January 15, 2019). The country is deeply divided, the political system looks like a lame duck. What are the consequences for continental Europe? Some people argue that the Brexit situation and the uncertainty will also harm the countries on the European continent. But there are also chances to develop Europe better. Martin Kahanec and Klaus F. Zimmermann have written broadly on European integration and the role of migration. Next to many scientific contributions and policy studies, they have also written some books together on the topic. Their views on the situation are below. A recent survey among 1,693 adults in the UK has investigated the options for the situation after a rejection of May’s Brexit deal. The “no-deal”, cold Brexit is expected by 35%, while a “second referendum” ranks only third with 21% behind 23% for “don’t know”. 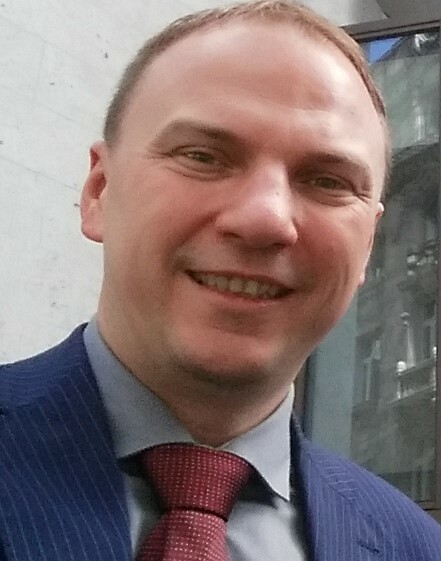 Martin Kahanec is a Professor and Head of the School of Public Policy at the Central European University in Budapest. He is Founder and Scientific Director of CELSI, Bratislava, a Chairperson of the Slovak Economic Association and Fellow of the Global Labor Organization (GLO). 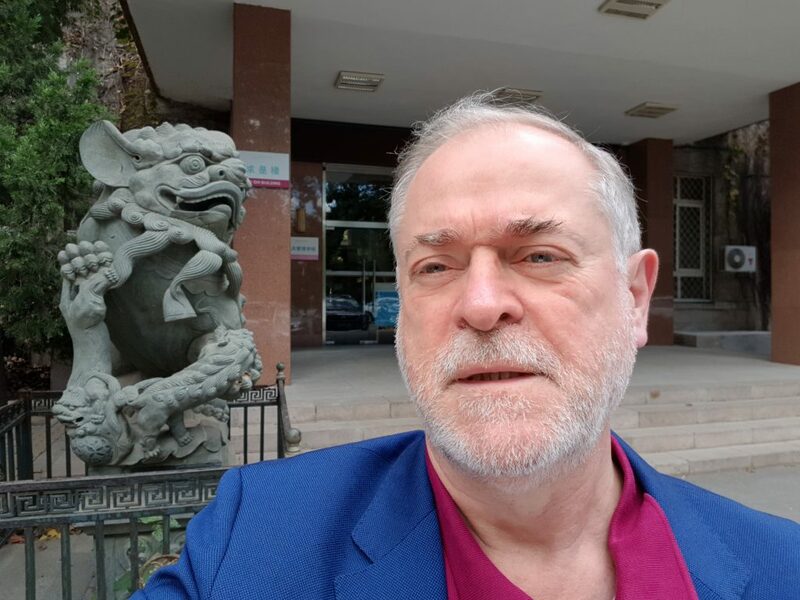 Klaus F. Zimmermann is Professor Emeritus of Bonn University, Honorary Professor of Maastricht University, the Free University of Berlin and Renmin University of China, Beijing. He is Co-Director of POP at UNU-MERIT, Maastricht, and President of the Global Labor Organization (GLO). GLO: Are you surprised about the large rejection of the Brexit deal? Martin Kahanec: The landslide is perhaps a bit surprising, but there are several well-defined groups who had every reason to vote against the Brexit deal. One group are those, mainly from the Labor camp, who oppose May, or saw a “nay” as the only way to have a second referendum, or both. Among those who wish for a second referendum are probably a good number of conservatives, too. The other group is composed of those, primarily conservatives, who consider it a bad deal, not protecting the UK’s interests adequately. And then there is the DUP, who oppose the Northern Ireland backstop. 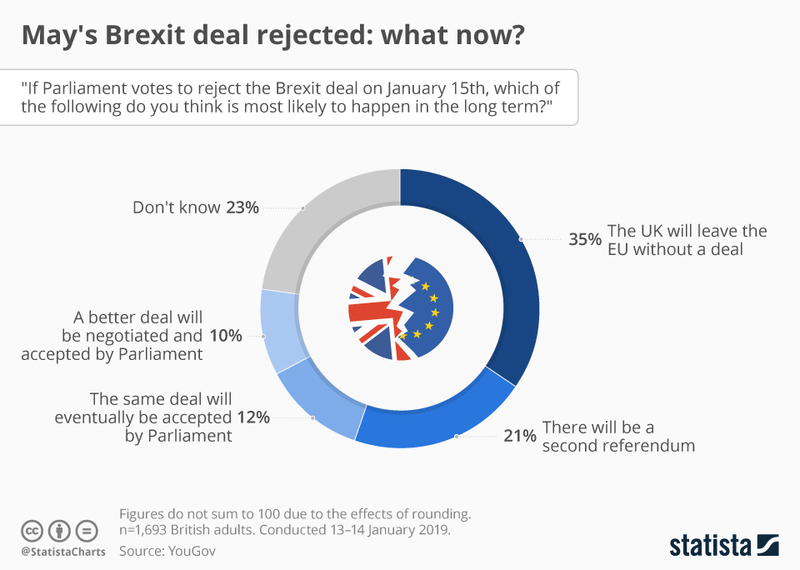 It is hard to imagine a deal that would be accepted by some majority in the House of Commons and by the 27 EU member states as well, and with May investing very little in cross-party consensus building, the “nay” result was to be expected. Klaus F. Zimmermann: Yes, this is kind of a Kamikaze behavior, untypical for a Parliament at fairly normal times. It has been know that the British MPs are quite critical about the EU, and the UK was never a friend of a political union in Europe. An acceptance of the May deal with the EU would have finalized the move out on March 29, at least on paper. Once out, one could have acted more radical. Now those responsible have to fear that the potentially large damage of a cold Brexit generates a stronger desire for a second referendum. GLO: What do you expect to happen now, general elections, a new referendum, a cold Brexit, or else? Martin Kahanec: I have no crystal ball. I hope for a new referendum, resulting in the UK remaining in the EU. With Corbyn as a staunch Brexiter at the helm of Labor, one important question is what is needed for him to reflect on the preferences of the majority of his party’s constituency, and turn Labor determinedly in favor of Remain. Whereas postponing Brexit by several months can give some time for what I see as forces of reason to take their effects, I am also afraid that a prolonged agony may further deepen the cleavages and sharpen the tensions in the British society, furthering its polarization, and leaving little space for consensus building. But a cross-party consensus, and strong leadership of the Speaker of the House, are very much needed to avoid a crash-Brexit and explore the options for a new deal or a second, possibly binding referendum. Klaus F. Zimmermann: Now Theresa May wants to speak with all sides among the MPs. This seems a bit too late. Everybody in the Parliament fears general elections, not even the labor party can be sure to win in such a divided situation. The country is split in two nearly equal blocks with opposite positions. It is not even obvious that a second referendum will bring a strong majority for one side. Hence, my best guess is that the outcome is a cold Brexit. However, I think that this would be really a big problem. With such an important decision with very long-term consequences for the well – being of the people it is not a shame to think twice and to correct a mistake. GLO: What are the consequences for Europe? Martin Kahanec: On the one hand, the rejection of the deal is a lifeline for Remain hopes. On the other hand, the ultimate outcome is as unclear as ever. This uncertainty is very unhelpful for the European economy. If the UK leaves the EU, the economic consequences for the EU (and even more so for the UK) will be very much on the negative side. In particular, it will be a major challenge for the eastern member states of the EU. Hundreds of thousands of eastern Europeans work in the UK. Some of them will consider returning to their home countries. As they are primarily young, and have acquired many hard and soft skills in the UK, their return would help the labor markets and public budgets back home. However, they would likely be less productive in their home countries than in the UK, and so their incomes would go down. This and the reduced interstate mobility would also decrease productivity in Europe and hurt its capacity to absorb economic shocks. An abrupt return of large numbers of workers to the sending countries could exceed the capacity of their labor markets, social security and health care systems, and social services to absorb them, creating temporary congestion and resulting in tensions between returnees and their compatriots. The UK will also be hurt: it will lose many thousands of skilled, hard working men and women and talented students from eastern Europe. The UK is also a major trading partner and source of investment for the eastern member states. Brexit would significantly reduce the gains from that trade and investment for both parties. Klaus F. Zimmermann: Never waste a crisis! Europe has better things to do, but forced to adjust there are two potentials: First, in the likely case of a cold Brexit, the damage for the UK will be substantial, and also the remaining EU will suffer. At least Scotland will try to leave the UK and seek to join the EU. This will signal to the 27 member states that it does not pay to leave. Further, it increases the incentives to develop the EU stronger and faster, in particular since the UK was always hesitant about a stronger political and economic integration and can no longer object. Second, if a cold Brexit does not happen because the British MPs fear the consequences, another referendum is likely. It can lead to a “Remain” and start a cultural change in the UK, where the British people better understand the benefits of the larger European Union. The EU could then be more dynamic than it otherwise would have been.